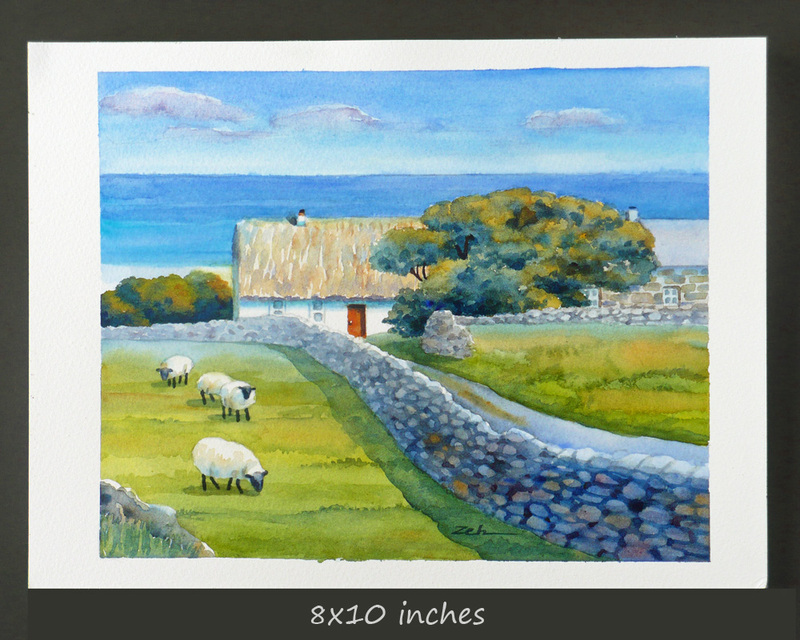 8x10 inches. Click image to see other sizes. If you have visited Ireland, you likely will have seen some thatched roofed homes and sheep everywhere! 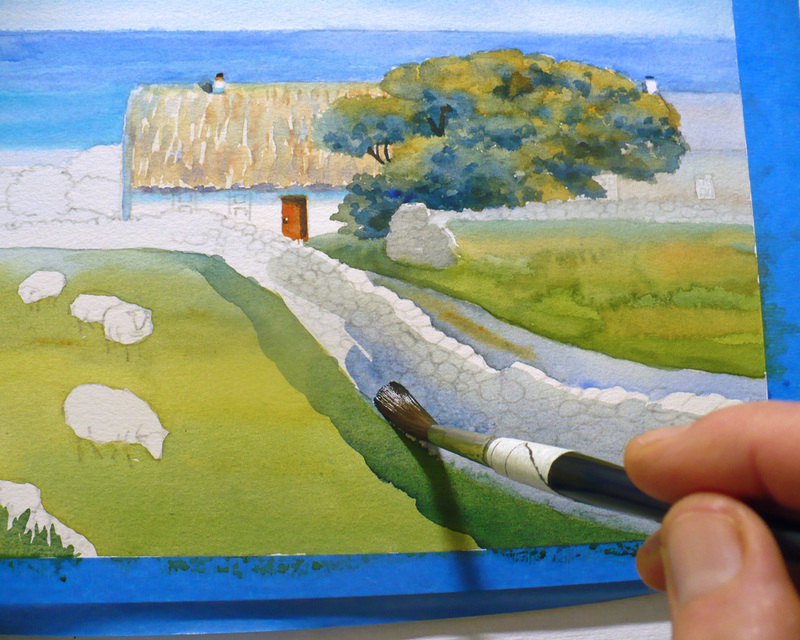 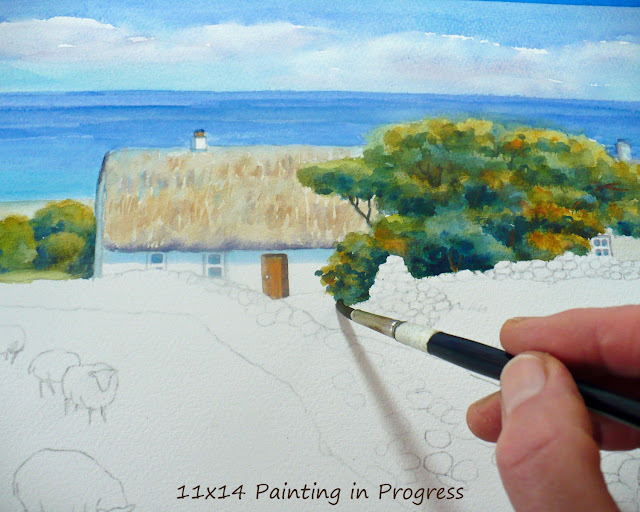 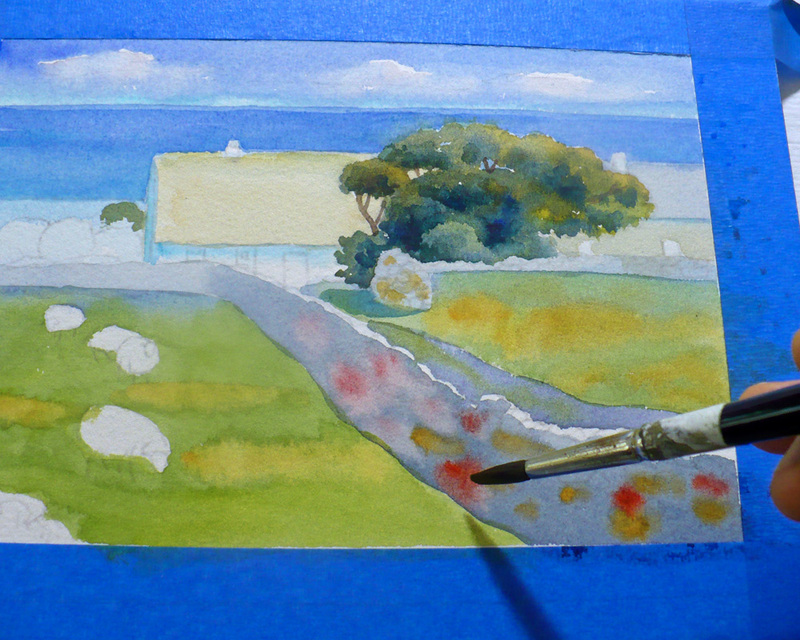 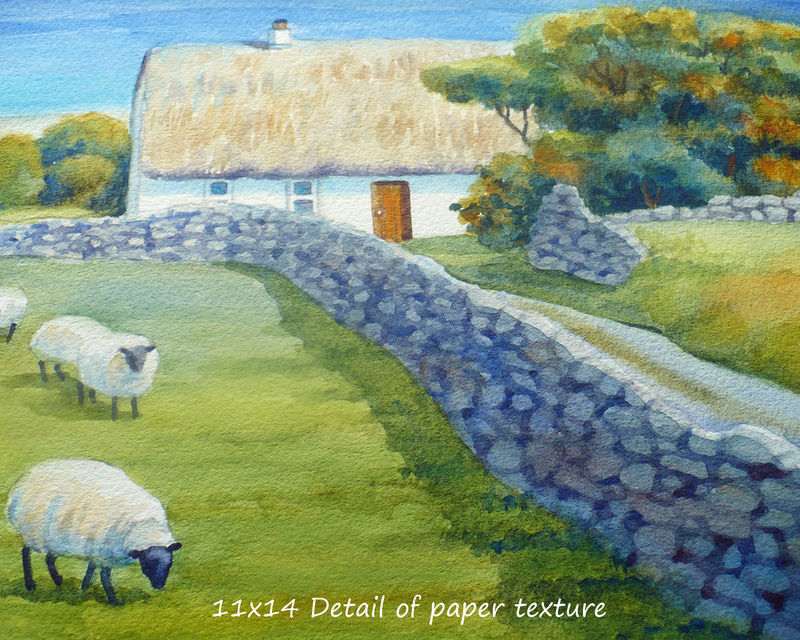 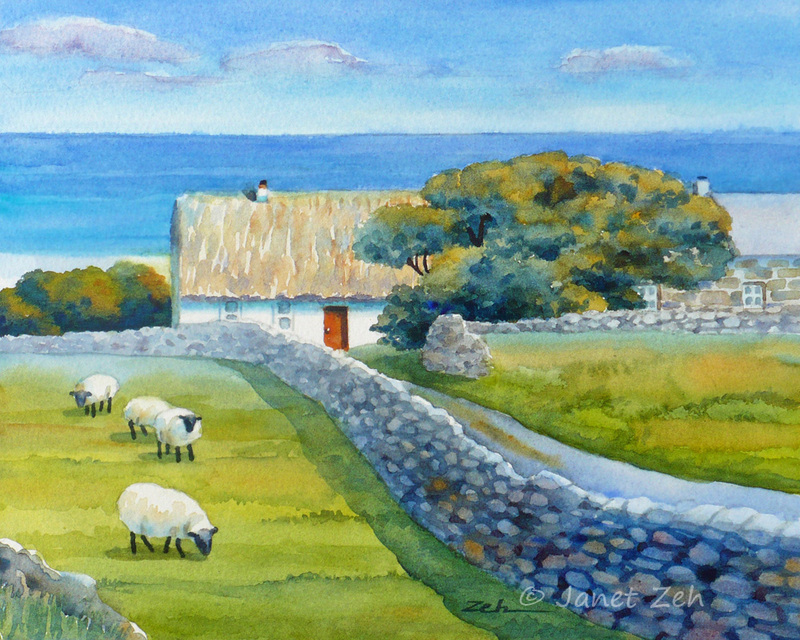 The cottage in this painting is located in Inis Mór in Galway Bay. *Your painting may vary slightly from the images. 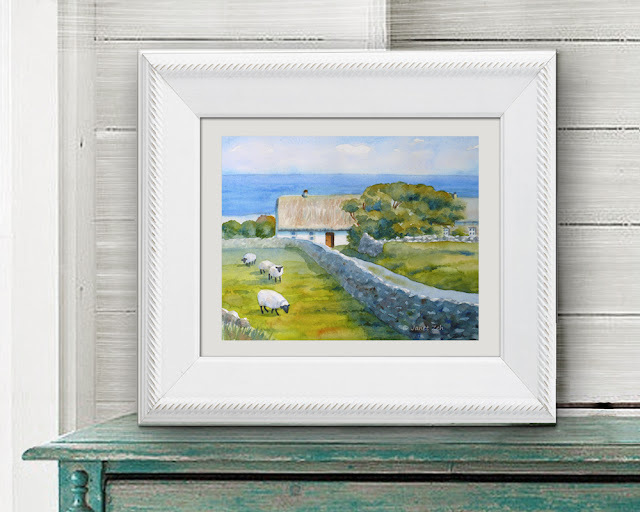 Since they are hand painted, each painting is unique. Unframed so you can choose a frame style and color you like. 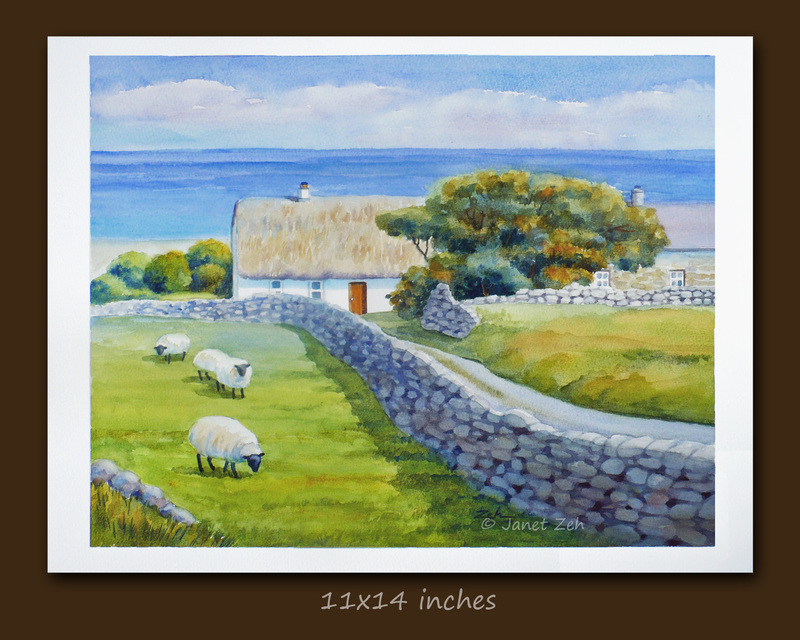 Check the images below for samples of paintings I've done. Due to the varying nature of watercolors, each painting is slightly different. 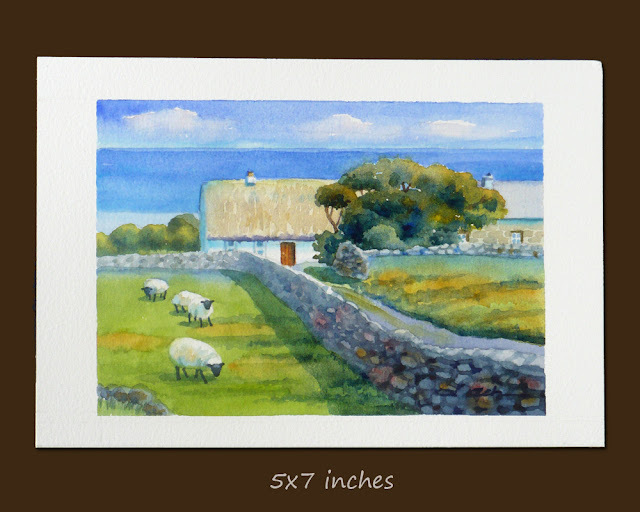 This size will be painted to order.